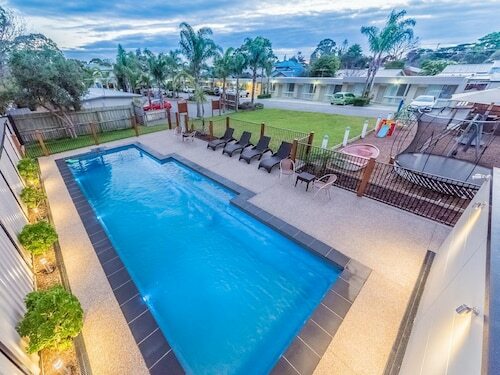 Situated in a regional park, this resort is 0.1 mi (0.2 km) from Phillip Island Wildlife Park and 2.5 mi (4 km) from Phillip Island Grand Prix Circuit. Phillip Island Winery and Purple Hen Winery are also within 6 mi (10 km). 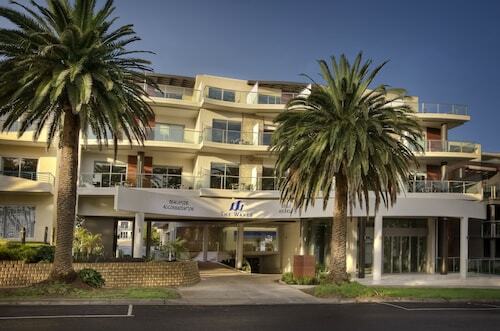 Located in the heart of Cowes, this hotel is within a 5-minute walk of Phillip Island Ferry Dock and Cowes Beach. Phillip Island Wildlife Park is 1.9 mi (3.1 km) away. 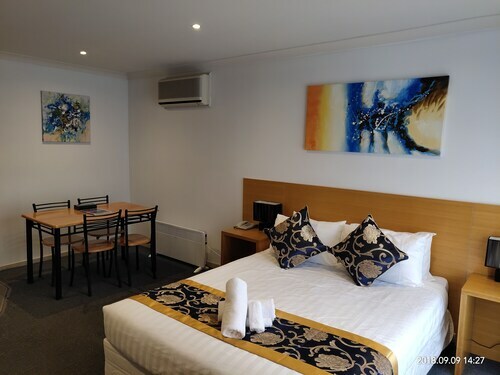 Located in Cowes, this beachfront motel is in the city center and within a 10-minute walk of Phillip Island Ferry Dock and Cowes Beach. Phillip Island Wildlife Park is 1.9 mi (3.1 km) away. Located in Cowes, this beachfront apartment building is on the boardwalk and within a 10-minute walk of Phillip Island Ferry Dock and Cowes Beach. Phillip Island Wildlife Park is 2 mi (3.3 km) away. Located in the heart of Cowes, this motel is within a 10-minute walk of Phillip Island Ferry Dock and Cowes Beach. Phillip Island Wildlife Park is 1.8 mi (3 km) away. 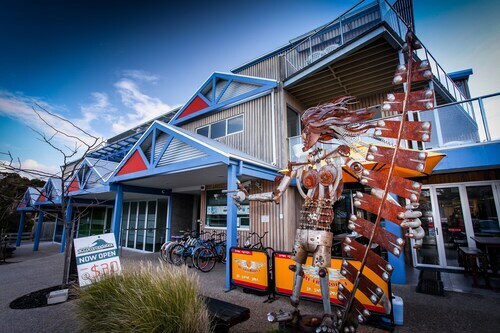 Situated by the ocean, this hostel is within a 15-minute walk of Phillip Island Nature Park and Phillip Island Chocolate Factory. National Vietnam Veterans Museum and Churchill Island Heritage Farm are also within 3 mi (5 km). 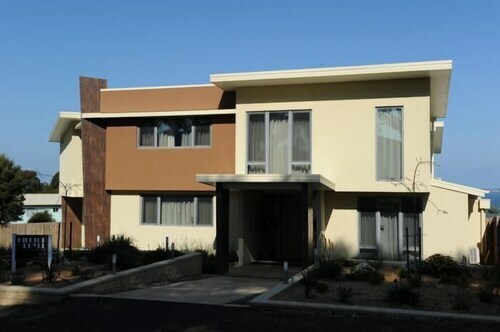 Situated in Cowes, this apartment building is within a 15-minute walk of Phillip Island Ferry Dock and Cowes Beach. Phillip Island Wildlife Park is 2 mi (3.2 km) away. 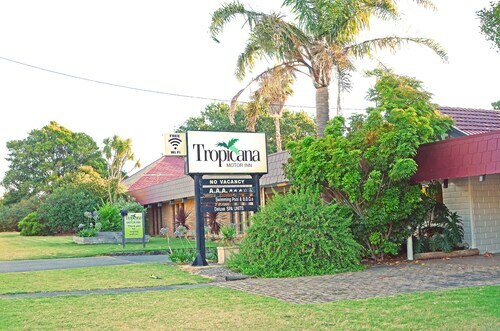 Situated near the beach, this motel is within a 10-minute walk of Cowes Beach and Phillip Island Ferry Dock. Phillip Island Wildlife Park is 1.8 mi (3 km) away. 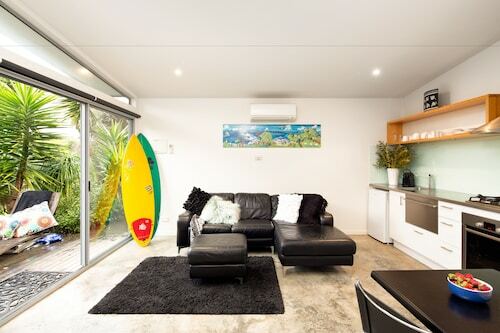 Offering direct access to the beach, this Smiths Beach villa is within 3 mi (5 km) of Phillip Island Grand Prix Circuit, Phillip Island Wildlife Park, and Purple Hen Winery. Cowes Beach and Phillip Island Ferry Dock are also within 6 mi (10 km). 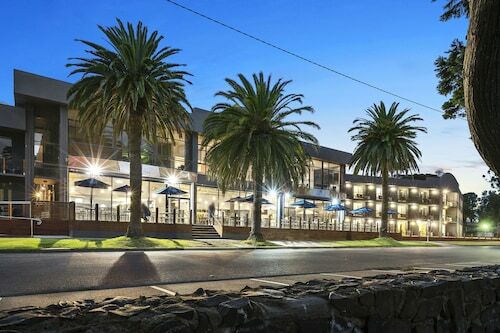 Nestled on the beach, this Cowes hotel is within a 10-minute walk of Phillip Island Ferry Dock and Cowes Beach. Phillip Island Wildlife Park is 2 mi (3.2 km) away. 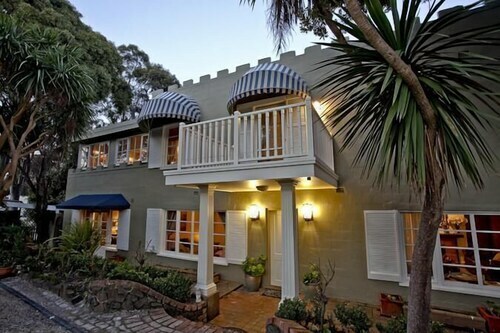 Offering direct access to the beach, this Cowes guesthouse is within 1 mi (2 km) of Cowes Beach and Phillip Island Ferry Dock. Phillip Island Wildlife Park is 2.5 mi (4 km) away. 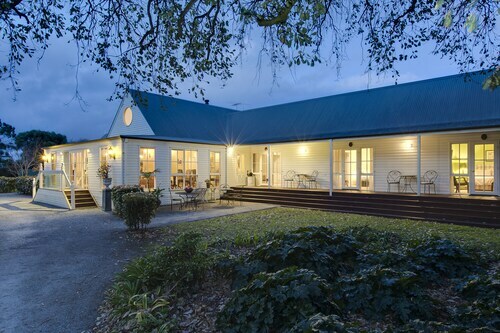 Situated in Rhyll, this luxury bed & breakfast is 3 mi (4.8 km) from Purple Hen Winery and within 6 mi (10 km) of Phillip Island Wildlife Park and Phillip Island Ferry Dock. Cowes Beach and Forrest Caves are also within 6 mi (10 km). Whether you are a nature lover or love motorcycle and car racing, our Phillip Island hotels allow you to enjoy all the island has to offer, from penguins, seals, koalas and birds, to the famous Phillip Island Grand Prix Circuit. The island is just a 90 minute drive from Melbourne, with a bridge connecting the island to the mainland at San Remo, and we have great rates on Phillip Island accommodation to suit everyone. Our Phillip Island hotels are a great base to visit the Island’s internationally renowned nature attraction, the Penguin Parade. Every sunset around 4500 Little Penguins, native to Australia and standing just 33cm tall, make their way up from the sea to their burrows in the sand dunes on Summerland Beach. Our Phillip Island accommodation also acts as a great base for seeing the largest colony of Australian Fur Seals, 1.5km offshore at Seal Rocks. The colony can be seen with binoculars from the island at The Nobbies or by taking a boat cruise from Cowes out to the rocks. Phillip Island is surely a bird-watcher’s paradise, with Rhyll Inlet on the north coast being home to a wide variety of wading birds including spoonbills, oyster catchers, herons and egrets, Swan Lake being an important habitat for black swans, and Cape Woolamai hosting around 120,000 short-tailed shearwaters, also known as muttonbirds, from September to May after their migration from the Arctic Circle. While staying in our Phillip Island accommodation see 1500 koalas in the wild by taking the ferry to French Island, or get up close and personal with them on the elevated boardwalk at the Koala Conservation Centre. Phillip Island is not only renowned for its natural highlights, the Phillip Island Grand Prix Circuit which dates back to 1928 and hosts a number of annual international racing events, including the World Superbike Championship in April, the Australian Motorcycle Grand Prix in October and V8 Supercar racing in November. Yet more history can be found on the island at the National Vietnam Veterans Museum, a permanent exhibition of war vehicles, weaponry and memorabilia, as well as audio visual displays covering Australia's involvement in the Vietnam War. Need insider tips on must-see attractions in Phillip Island? Check out our Phillip Island travel guide! How Much is a Hotel Room in Phillip Island? Hotels in Phillip Island start at AU$51 per night. Prices and availability subject to change. Additional terms may apply. Enjoyed our stay very much, owner friendly & everything was in our unit, including shampoo, tissues, soap, coffee & milk etc. would stay there again. Great place. Right across the road from a great pub/brewery. The owner most helpful. Spatious rooms. Everything I needef. I will rrturn and recommend.